Every aspect of your experience is considered. 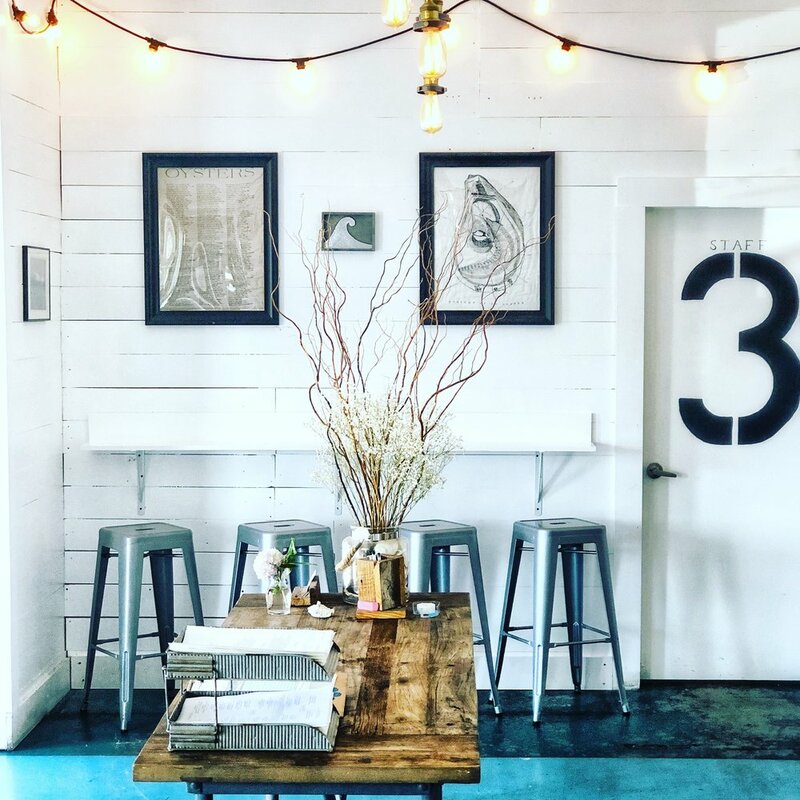 An oyster bar and restaurant set on the periphery of downtown Carolina Beach provides an upscale, inviting dining experience. Elegant, warm, intimate with crafted food and drink built on small farms and producers. We have extensive expertise staging events that present a unique outdoor experience for small gatherings up to 50-100 ppl. Growing reliable guest support relies on an ability to make them feel a part of something special and unique. Small, repeatable events are a critical element of business growth. The Southerly Biscuit & Pie delivers on scratch virtues of southern traditions. Locally-sourced, made-to-order options to build your perfect biscuit sandwich, seasonal hand pies and whole pie selections - all provided in a quick-service, takeout environment. Rustic barnwood. Classic beach house shiplap. Warm and elegant. Prepare for an inviting and unique dining occasion. Our teams are ready to deliver an unparalleled hospitality experience with exceptional food and drink delivered in a comfortable and bright setting just minutes off the beach.